University College is committed to providing the best possible College experience for our students to ensure that they are getting the most from their university years. As a key strategic objective, the Master Plan Stage 1 Project will ensure more students can access the UC experience without losing the vital essence of our collegiate community. Due to a number of unforeseen challenges in the demolition and construction process, the Master Plan Stage 1 Project is running behind schedule. The new dining hall was opened in March of 2017. The majority of the new ensuite student rooms are now available – with students moving in for semester one 2019. The rest of the building is expected to be complete in May 2019, so 70 new rooms will become available in semester two. Below are some photos of our newly opened, modern rooms. Our first priority is the students. Demand for places at UC currently exceeds supply, with many talented students missing out on a place. All indications show that demand will remain strong. By creating additional college places we will enable more students to enjoy the immeasurable benefits of a collegiate education experience at UC to support their university studies. Experience in Australia and overseas has shown that a community of around 340 students is an appropriate size for strong personal community engagement. In response to the evolving needs of students in the 21st century, the Master Plan Stage 1 Project will have enormous benefits. A larger cohort at UC ensures greater diversity of students, enriched academic and well being programs and enhanced facilities to support students’ living and learning needs. Flexible, modern facilities and ensuite rooms are not only primarily attractive to students, but also to conference and apartment guests, thereby supporting these two important additional revenue streams. The new buildings are being built using Passivhaus principles to improve sustainability and reduce the College’s environmental impact. The College also needs to remain competitive. 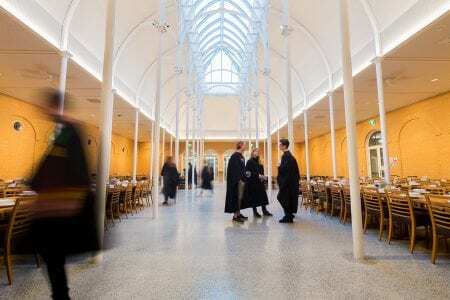 With the growth of the University of Melbourne, other colleges around the Crescent have grown in size and enhanced their educational offerings and facilities. In addition, commercial providers have recently entered the student accommodation market in unprecedented numbers. The previous dining hall was too small to accommodate our student cohort. It was built in 1953 to cater for 126 residents. As we now have over 200 residents, the College community cannot gather as one in the dining hall and the kitchen is not adequate to meet the College’s catering needs. One of the most important aspects of living in College is sharing meals – at High Table dinners, Commencement and Valedictory Dinners and informal occasions such as lunch or Sunday brunch. The new light filled, conservatory-style dining hall will become an iconic feature of UC and the hub for our community on both formal and informal occasions. With a capacity of 400 it will comfortably accommodate the College’s current and future needs and provide a spectacular, highly sought after venue for University and corporate functions during our conference season. Another important reason we are doing this is because the College currently spends a great deal of funds repairing and maintaining the Roper, Syme and Williams wings. Due to the austerity of the post war modernist era, these buildings have not aged well. The rooms in these wings are not popular with students and have reached the end of their useful life. They are no longer cost effective. To ensure we are offering students first-class facilities, it is time to redevelop these wings and build upgraded new student rooms. The names of these three wings will be retained in the new buildings, reflecting the important contribution by Susie Williams and Myra Roper as Principals and the Syme cousins as founders and benefactors of the College. We have consulted widely and listened carefully to the feedback of our students. Double bed rooms and ensuites are in great demand on College Crescent. Our new buildings will feature improved rooms, more functional study and tutorial spaces to better meet the needs of current and future students. For generations of UC students, the most popular buildings on campus have been the heritage buildings built in the 1930s. Even in today’s modern world, students value and respond to the ‘old world’ experience of a college setting. The new wings will be built in the style of the original Ellis and Sweet buildings. This will unify the College architecturally and enhance the sense of place for our students. The exterior building design is stylistically derived from the 1930s Henderson master plan and will create a commanding presence on College Crescent. The conservatory style of the dining hall is based on the classic conservatories of Edinburgh and Kew Gardens. The expanded internal courtyard creates a unifying island within an island which protects residents from the three public roads encircling the College while maximising garden spaces. The response to the designs from our 2015 cohort has been overwhelmingly positive and there is much excitement about the impact these developments will have at UC. The new buildings will be built around a Passivhaus design, a German concept, and a rigorous, voluntary standard for energy efficiency in a building, which reduces the building’s ecological footprint. The project has been funded from borrowings with a budgeted cost of $28M. In a climate of low interest rates it is viable financially to secure this funding now rather than in the future. We are grateful to the University of Melbourne for their outstanding support in working with the College over the past two years to help bring the project to fruition as part of the Melbourne Student Accommodation Program. How Will The College Manage The Impact Of Building Works On Students? Fortunately the building works will be contained to the north east corner of the College grounds and separated from the rest of the College, thereby minimising disruption to the main courtyards and buildings. Nevertheless, we will work closely with our students to monitor and minimise any impact on their College experience from the building works. Constant communication with our student leaders will ensure the College is aware of any concerns and manages them effectively. How Will The Increase In Size Impact On Our College Culture? 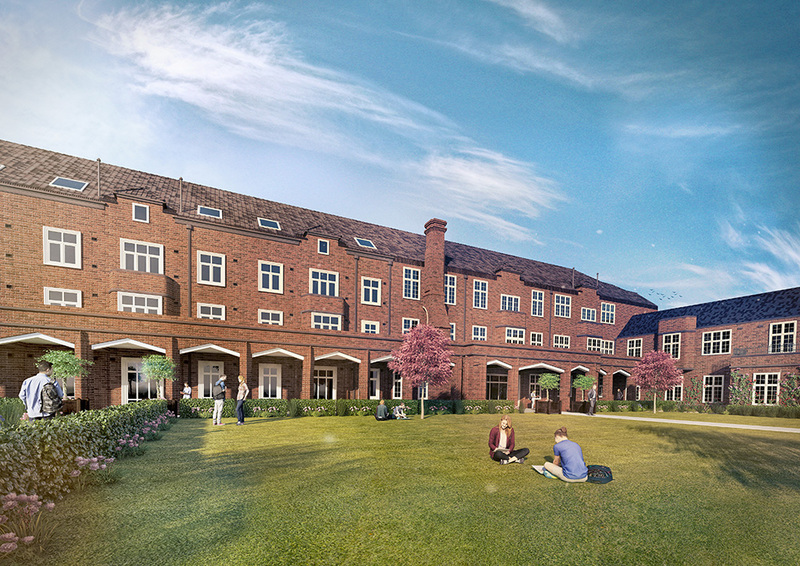 The redevelopment will increase the size of the College from 200 to 320 residents. After extensive research of college life and consultation with our student representatives, we are confident this will not dilute the essence of our friendly, relaxed and supportive community. Many students and alumni speak of UC being a ‘down-to-earth’ College and a place for people to belong. We want to retain that – we are proud of our culture and committed to ensuring we do not lose what makes us UC. 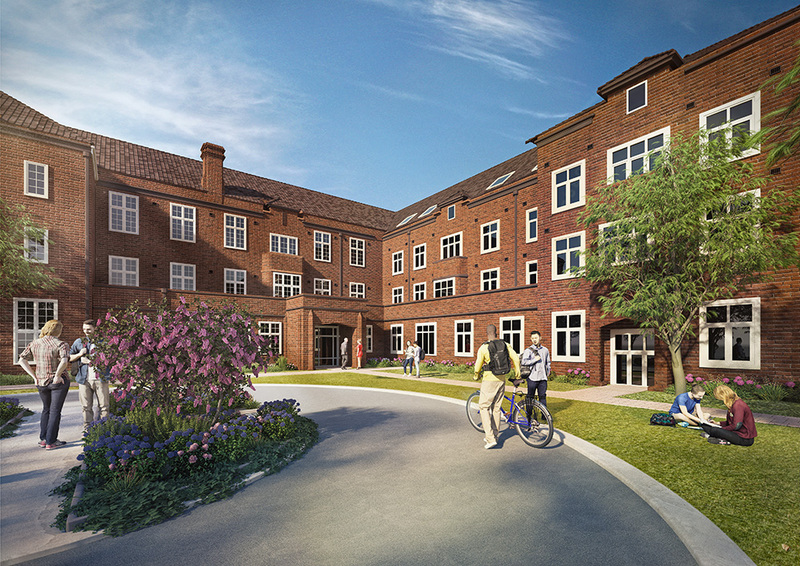 The physical features of College popular with students – the gardens and heritage buildings – won’t be lost. The classic conservatory design will ensure these features are preserved and enhanced. Students are at the heart of everything we do and this redevelopment maintains the strong sense of community which is the College’s hallmark. This is fundamental for our community who are passionate about retaining the College’s traditional ethos and key strengths. In addition, it will provide growth and enhancement to ensure the College continues to meet the needs of its students and retains its reputation as a forward thinking College and a leader in its field. The College Council welcomes your feedback and would be interested to hear your comments and thoughts, so please email the College.